O, Virgo Splendens / Oh, Splendid Virgin Medieval Latin pilgrim’s song From the "Red Book of Montserrat"
In Amsterdam, September 1996, a new a capella quartet was born. Four professional actresses (three Dutch and one Russian) and passionate lovers of world music united their voices in search of a new sound for old songs. Two Pisceans and two Aquarians, they decided to call themselves ‘Rusalki’ – Mermaids, Sirens of the Sea. Rusalki’s repertoire consists of the songs they have gathered on their travels. In their collection contains around 70 songs in more than 25 languages. Most of the plural harmonies are sung without accompaniment, and some are with guitar or accordion. The quartet - in sumptuous costumes - adds a touch of theatre to its performance to enhance the music. With her refreshing and surprising arrangements, Tatiana Kuzovkina, (educated in St. Petersburg) breathes new life into traditional melodies. Her songs can be quite complicated, frequently combining jazz harmonies and rhythmical accents with the clarity and simplicity of the original tune. This creates the unexpected effect of songs that exists for centuries while sounding fresh and captivating today. 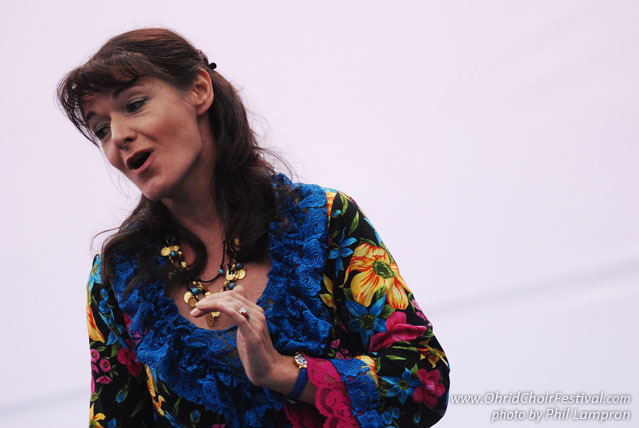 Over the last 15 years, Rusalki has recorded three CDs, performed all around Holland, and took part in international festivals “Slavyanski Bazaar”, ‘Singing World’, ‘Interfolk’ and others. Rusalki belongs to “Musicians without borders,” an organisation that unites artists who want—through the means of music—to promote peace and human rights in the world.